Botha was born on 27 April 1932 in Rustenberg. He joined the South African Department of Foreign Affairs in 1953 after obtaining a B.A. degree at the University of Pretoria. He completed his LLB in 1955 and served in the South African diplomatic missions in Sweden and Germany from 1957 to 1963. Returning to Head Office in Pretoria in 1963, he first served in the Africa Division, then as the Department's law advisor and finally as Under-Secretary responsible for South West Africa/Namibia and the United Nations. Between 1966 and 1974 he attended seven sessions of the U.N. General Assembly as a member of the South African Delegation. He was a member of the South African Legal Team in the South West Africa Case (Namibia) at the International Court of Justice from 1963 to 1966. In 1970 he was elected National Party (NP) member for the constituency of Wonderboom. In the same year he was admitted to the Bar as an advocate of the Supreme Court. He was again a member of the South African Legal Team in the Advisory Proceedings before the International Court of Justice on South West Africa (Namibia) 1970-71. He was South African Permanent Representative to the United Nations 1974-77 as well as South African Ambassador to the USA 1975-77. He was appointed Minister of Foreign Affairs in 1977 and became a member of Parliament for Westdene until 1994 when the new Government of Mr. Mandela took power after the 1994 elections. He served as Foreign Minister from 1977 to 1994 and as Minister of Mineral and Energy Affairs in Mr. Mandela's cabinet from 1994 to 1996. He was acting State President for brief periods between 1990 - 1993. He was elected leader of the National Party (NP) of the Province of Transvaal in 1992 and leader of the National Party (NP) in the Province of Gauteng 1994-96. He retired from politics on 30 June 1996 when the National Party (NP) decided to withdraw from the Government of National Unity of Pres. Mandela, a decision with which he strongly disagreed. Ø In 1970, as a newly elected Member of Parliament, he used the occasion of his maiden speech in Parliament to plead for the Government to subscribe to the U.N Universal Declaration on Human Rights. Ø In 1974, Botha, at that time South African Ambassador to the United Nations, stated during a speech in the Security Council that discrimination on the basis of the colour of a person's skin was indefensible and that he, for one, was not prepared to defend it. Ø In 1986 Botha, during an international press conference in Cape Town, replied to a question saying that, yes, he did believe there would be a Black President in South Africa in future and, yes, he was prepared to serve under him. Ø From 1977 Botha was involved in the intricate discussions and negotiations which lead to the Lancaster House Conference in London towards the end of 1979 paving the way for Zimbabwe's independence in 1980. 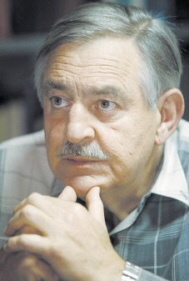 Ø Pik Botha initiated the first bilateral talks with the Government of Mozambique at Komatipoort in 1982. At these and subsequent talks he probed for areas of common ground, and eventually conceived of an agreement which could end the violence, create security and a new atmosphere of mutual respect and cooperation between the two countries. After 18 months of intense negotiations agreement was reached, and culminated in the celebrated Nkomati Accord signed on 15 March 1984. Ø Throughout the long years of conflict in Namibia and Angola, Botha initiated many efforts to reach a peaceful settlement. Even before his appointment as Minister of Foreign Affairs in 1977, he was for many years involved in debates in the United Nations as well as in the proceedings in the International Court of Justice on the dispute concerning South West Africa (Namibia). After his appointment as Minister of Foreign Affairs in 1977 he was directly responsible for the negotiations which took place in many capitals. Each time a settlement eluded him, only for him to try again. When the settlement was finally reached, Botha was in New York at the United Nations' Headquarters in December 1988 to sign on behalf of the South African Government. This historic event paved the way for Namibia's independence and the withdrawal of 50 000 Cuban troops from Angola. It was his greatest triumph. This led to a reduction of the tension in Southern Africa, paving the way for Mr. Mandela's release and negotiations between the Government and the ANC in 1990. Ø Botha has always been a champion of Africa. He has taken up the cudgels on its behalf, particularly when facing the industrialised nations of Europe, North America and Asia. He has been warmly received in many African capitals. Botha married Helena Bosman in 1953. Two sons and two daughters were born from this marriage. Mrs. Botha passed away on 29 April 1996. Botha married Ina Joubert on 27 April 1998. He has publicly supported the ANC since 1997. Ø News maker of the Year Award, Pretoria Press Club, 1984 and 1986 ..
Ø Co-author: "South West Africa Survey 1967"
Ø "South West Africa Survey 1974"